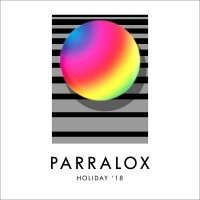 Just in time for Christmas 2018 the new Seasonal Album of Parralox will be released. For "Holiday '18" John von Ahlen has reinterpreted many fascinating songs from the past decades and put a wonderful, timeless Parralox stamp on them. They include cover versions of Blondie's "Heart Of Glass" or "Lullaby" by The Cure.